Don’t be fooled by The Static Jacks. What may sound like a bunch of British blokes busting out pop songs laced with Red Bull are actually a bunch of blokes from Westfield, NJ. The band will release their debut album, If You’re Young, on Aug. 30 and they’re kind enough to debut the video for Mercy, Hallelujah on MOKB. Take this opportunity to soak in their Cure-like guitar riffs and the lead singer’s Paul Weller-esque vocals. You’ll be hearing much more from them soon. 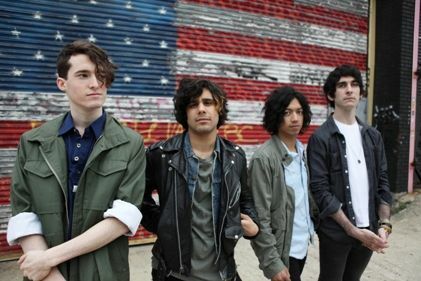 They’ll open for The Wombats on their U.S. tour starting in October, which promises to be a raucous good time. I expect to see masses of dazed, sweaty hipsters left in their wake as they pull out of each town. Go here to check out the dates. 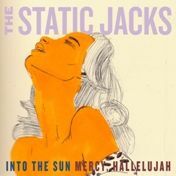 If you can’t wait for the album, Mercy, Hallelujah and Into the Sun will be available for download on iTunes tomorrow.